Positively Amy: It's a Guava-Ganza! Have you ever tried kombucha? It's super healthy (contains all sorts of probiotics and such), is low in calories and it's freaking delicious. This one is Guava Goddess. Kombucha is one of those things where you either love it or hate it; I happen to love it. I'm really not a big fragrance person. I usually think perfumes are too strong and they just give me a headache. 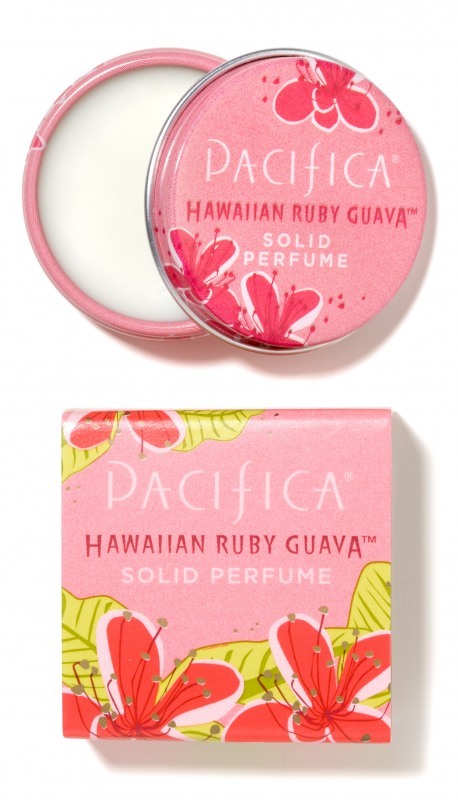 Pacifica solid perfumes are different though. This one's super light and smells like summer! I kind of want to eat it. And a few things that I WANT and WILL LOVE can all be found here. That Yves Saint Laurent lip gloss is seriously calling to me. Well I thought I'd share a little bit of summer with you. It's been super cloudy and rainy here for days on end, so I thought it was appropriate to escape that for a bit. The DIY posts I've been promising are in the works. Actually, I wrote them already, the pictures are just sucking because of said cloudiness. It looks like 8pm in here all the time. Gross.